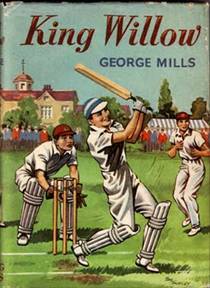 I recently read a comment here at Who Is George Mills? stating: "Sam, I wished you'd put a link to your very first post on the home page, so readers could start at the beginning of your story." The comment is from Jim Harris, an authority on Lady Dorothy Mills (author, traveler, and George's once-sister-in-law) , and I've often wondered how one would go back to the beginning here without endlessly clicking the "Older Posts" link at the bottom of this screen. Sorry to hear that news, Mate. Will do, m'friend, say prayers for your DS Betsy, so I will. And for you. You haven't been updating any of your blogs, Harry. I fear the worst.